These stylish bags are as at home in the town or city as they are walking on the moors or out in the field. 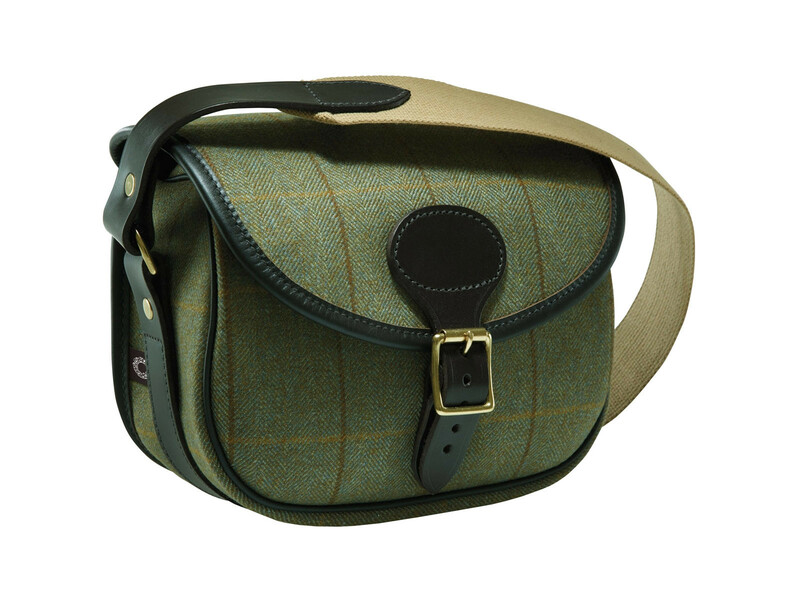 The Tweed cartridge bag has a capacity of 100 cartridges and has a hinged speed load design allowing for easy access. It has a 2" wide cotton webbing shoulder sling for comfort and there is a full suede lining. Made from the finest 100 Wool Tweed with a rubberised membrain as waterproofing.